Please contact us for the up to date availability of this beautiful villa! 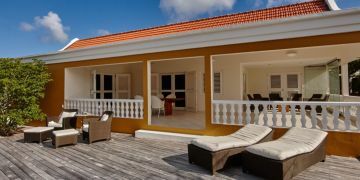 This fabulous, oceanfront villa is the perfect accommodation for your vacation on Bonaire with family or friends. 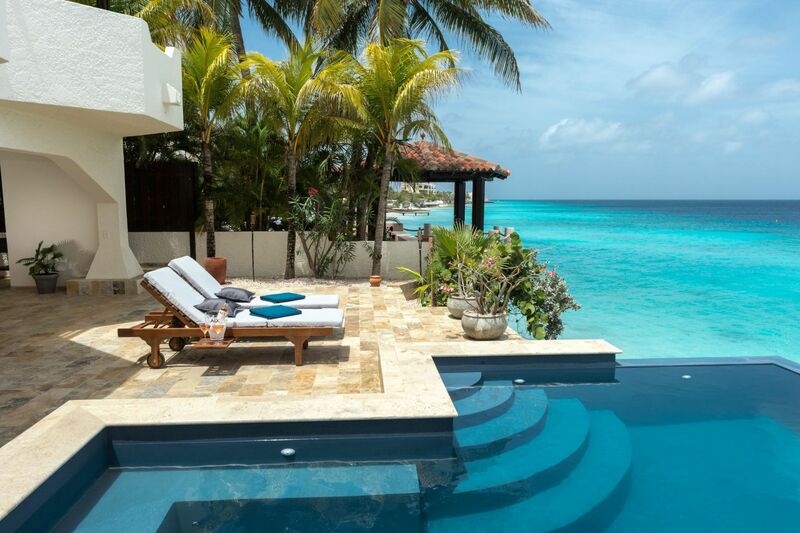 The villa offers a lot of space both inside and outside, a stunning tropical garden and direct access to the ocean. The views from the terrace and the oceanfront gazebo are breathtaking! 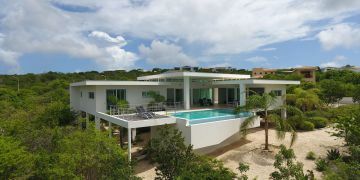 The villa has 4 bedrooms and 4 bathrooms, a spacious living room with fully equipped open kitchen and a cool breeze throughout the whole villa. The windows have screens and the bedrooms all have air conditioning. 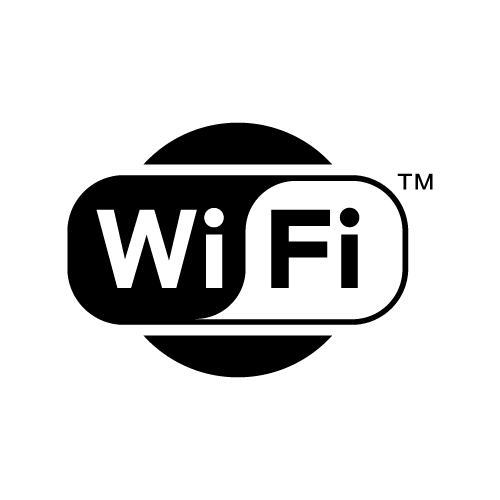 Of course the villa has WIFI and cable. As mentioned before; the perfect accommodation for your Caribbean vacation! Contact us for the up to date availability of this stunning villa! All prices are exclusive of 15% service charge and exclusive of US$ 5.50 tourist tax per person, per night.